Those under the impression that this preparation is too elaborate for people with plain tastes should note that the flavors are comforting and gratifying. Minimal effort with specific attention given to ingredients and simple cooking techniques when fully executed allows the hobby cook to achieve glamorous results. In a heavy bottom pot add the extra virgin olive oil and heat over a low flame. Add the carrots, celery, onions, and cook slowly until almost tender. Add the fava beans, water and season to taste with salt and pepper. Simmer this mixture for 5 minutes. 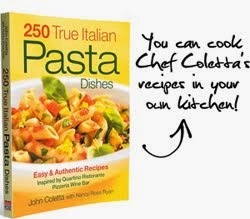 In a heavy bottom non-stick pan add the extra virgin olive oil and heat over a low flame. Dredge the halibut in porcini flour, place the halibut in the pan, season, sauté on both sides until a crust forms. Remove the halibut from the skillet once it is cooked. 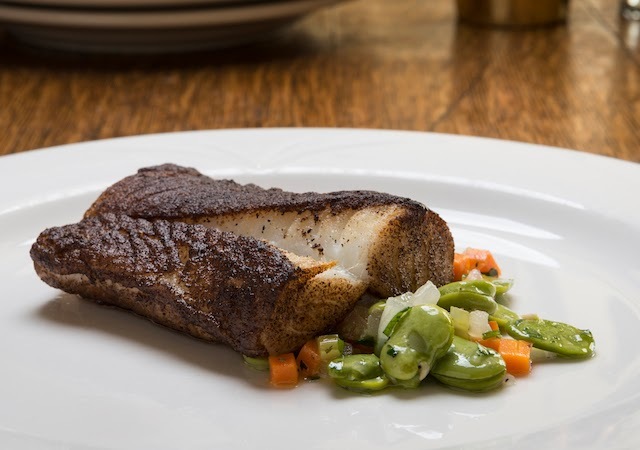 On a warm plate arrange the fava beans and center the porcini crusted halibut and serve at once.